If you are interested in any of our products or would like to discuss a custom order, please feel free to contact us . We are looking forward to forming successful business relationships with new clients around the world in the near future. Q:Can we get a sample for reference9 A:We would like to send the sample for you to check the quality if we have available samples here. b. 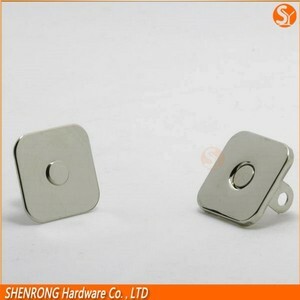 Related Products GuanHua Hardware Manufactory is the professional accessory manufacturer which is located in the Foshan city GuangDong China. 3.We can declare as "Sample" with low value for small parcel. 3) We provide high levels of communication from start to finish. We develop a new mode for the integration of the button industrial value chain with intelligent information technology. To create a comprehensive button industry eco-chain service platform and effort to achieve our dream of the "Button Town" . The main functions are product release, instant message, online payment, resource management and so on. Offline. 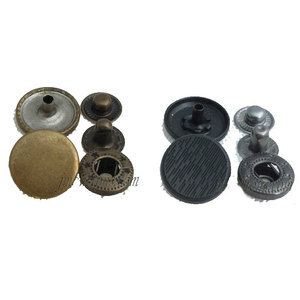 custom denim buttons -Material: Alloy -Size: 15MM,17MM,18MM,20MM&25MM -Shank style: Move or fix -Color: Nickel ,Gunmetal ,smoke ,Gold ,Anti brass ,smoke + brush ,copper+ Brush etc -FREE SAMPLE available -YOUR designs are welcomed More details ,PLS contact us . product uses it can be used on garments, footwears, bags, furnitures, bed sheets, toys and more you can imiage. our products include buttons, brooches, buckles, button tubes, beads, chains, trimmings, belts, footwear accessories and more. item shirt metal snap button item no. middle east,south america,europe, southern asia,southeast asia and so on. loading and delivery we have cooperation with some good forwarders,can deliver goods to hk with cheap price, or by fob/cif to the ports all over the world. Alibaba.com offers 4,379 shirt snaps products. About 61% of these are buttons. A wide variety of shirt snaps options are available to you, such as dry cleaning, eco-friendly, and nickel-free. You can also choose from snap button, jeans button, and combined button. As well as from metal, plastic, and resin. And whether shirt snaps is round, square, or diamond. There are 4,364 shirt snaps suppliers, mainly located in Asia. The top supplying countries are China (Mainland), Pakistan, and Hong Kong, which supply 87%, 5%, and 2% of shirt snaps respectively. Shirt snaps products are most popular in North America, Western Europe, and Domestic Market. You can ensure product safety by selecting from certified suppliers, including 588 with ISO9001, 544 with Other, and 175 with ISO13485 certification.